Is Jesus Character Consistent With a God Who Destroys His Enemies? Jesus' Character Should Match His Father's - Does It? Jesus character, throughout the Gospels, is described as loving and harmless. He taught us to "turn the other cheek" and to "love thy neighbour." The question is: is this consistent with the God of the Old Testament and even in the apocalyptic portions of the New Testament where, ultimately, fire from heaven destroys the wicked? Is Jesus character consistent with His Father's character? More and more, people are looking at the statements in scripture that describe a destructive God and are looking at them in a different way. They are finding that when the Bible is allowed to define its own terms it can be seen as describing a God who actually has a character that is consistent with the Gospel accounts of the meek and mild Jesus. Some are only willing to read the words of scripture literally without allowing the Bible to explain itself or to look at the bigger picture. For such people the following is presented. My hope it will give you a clearer picture of Jesus' character and help you to see that His Father has the same character. And so we need to be willing to think "outside the box," in ways other than how we have thought before. We may just end up, if we base our thoughts on are true understanding of God's word, thinking more like God. This material is a collection of what I am calling Questions for the Skeptic. 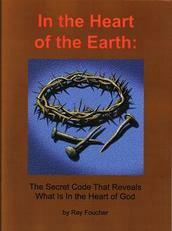 They are mainly thought questions that might help us to think about the basics of the question of God's character. How did Jesus' character with all its gentleness and concern for children and the sick reflect the "vengeful" God He came to reveal? Are there cases in the gospel records of Jesus' life of His harming anyone? Does God Keep His Own Law? How can a "killing" God tell humans "Thou shalt not kill" and yet to pattern their character after His own? Wouldn't killing be going against His character? God has been described by some as the ultimate law-keeper. If that is true then He cannot in any way break the law. If God's law can be changed then He could change. How could He change from a God of love to (if He were to personally, actively destroy the lost) what amounts to the greatest mass-murdered ever? Why can't God lie? Because it goes against His character. If He can't lie, why can He kill? Or, if He can kill (break His own law), why can't he lie? Would we still be able to trust Him? Difference Between "to Kill" and "to Murder"
The idea is that a man is not as guilty in a case of accidental homicide. We would all agree that premeditated murder, when you have thought it through and decided to do it is a worse crime. But I would have to ask this: would God ever accidentally kill someone? If God kills anyone it is not by accident, it would be premeditated, a conscious choice. We have two witnesses to God's character - Jesus' character with His exemplary life and good works and the law of God. These must agree and they do. If God's actions ever disagree with these two witnesses, don't we have a problem? Perhaps the problem is only with our understanding. Have you ever heard the reasoning that God had to allow Lucifer to live after he sinned so that sin could develop and others could see that He was justified in killing Lucifer? A person looking at the misery of sin could legitimately ask "Why didn't God just nip sin in the bud?" A reasonable response would be that other angels might come to God and ask "Where is Lucifer?" God could respond "He sinned and I had to kill him." To which they might respond "Kill. What is that?" Of course, it would be a difficult thing for them to understand. God could do His best to explain what sin is and what death is etc but in the end there could easily be a degree of mistrust of God in their minds. "If I step out of line God will kill me too, whatever that means?" So, we say that God had to allow Satan to live, to develop his character so that all might see the results of sin and see God as being reasonable in finally destroying Satan and sinners. While this seems reasonable, the same thing happens in the end except that many more than just Satan die and it is still (according to the standard thinking) God who kills them. While those who now, after the final destruction of the lost, know the effects of sin and should want to have nothing to do with it, what is their motive for obedience? They would know that the end result is that God kills those who step out of line. In the meeting between Jesus and Nicodemus recorded in John 3 the whole exchange between them that is recorded could easily have taken place within 3 minutes. (You can read all the words that are recorded as being spoken in less time than that.) I would think they probably spent more like 3 hours talking and we are just given the highlights. Similarly, the short warning that is recorded about the dangers of the "tree of the knowledge of good and evil" may be a lot less than the total of what was said. If Adam and Eve were given about as much information as we have that is recorded in Revelation 21 and a few other places about the final disposition of sin; if they were to understand fire and its effects as we do, they could put it all together and come up with "if we don't obey God, He will kill us." How would that lead to a loving relationship? If the true intent of God's word regarding the end of the lost is that He will kill them then isn't He essentially saying: If you disobey me, I will kill you?" So there are some thought questions about the character of God, about Jesus' character and the question of whether or not God destroys. For more questions about God and free will that will help you in considering this topic please go to Part 2 - God and Free Will of this study Does God Destroy - Questions for the Skeptic.